Books, Books and more books! Megan loves books, more so than anyone else I know.. and I know a lot of book worms out there.... I'm one myself, but I think Megan has me beat on this. 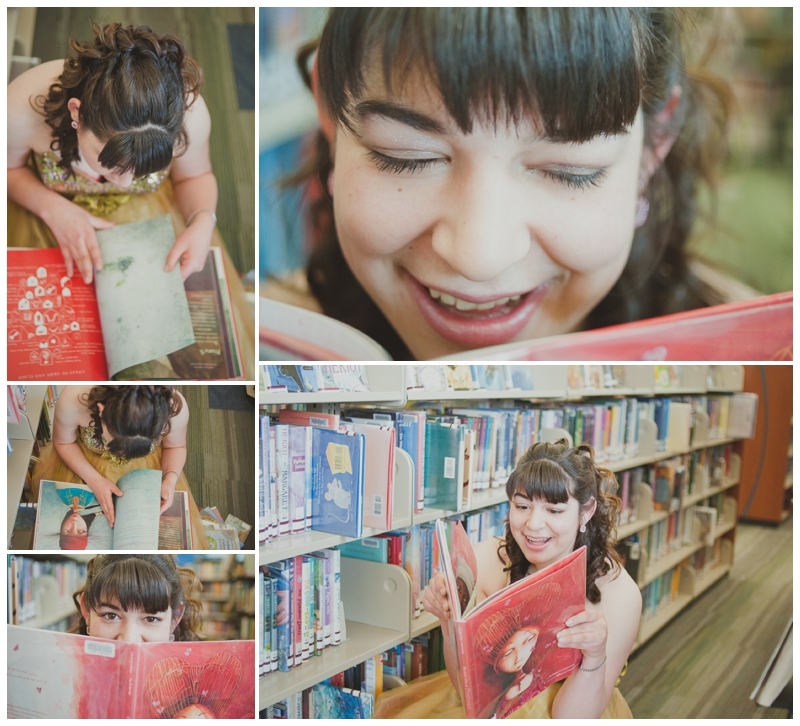 Rumour has it that she is never without a book and can generally be found hanging out at the local library, which is where our session takes place. 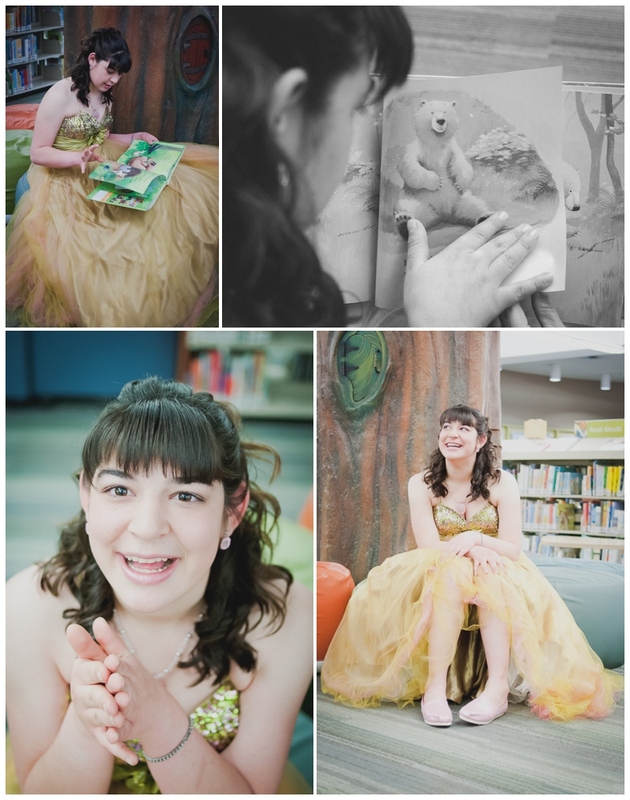 Her favourite spot in the library is on the main floor in the children's section of the Strathcona County Library, with it's whimsical trees and hidden doorways , it holds a treasure trove of Megan's favourite books! We flipped through a lot of books, made a few stacks of our favourites and then found a few that she hadn't read before! Megan, You're an amazing young woman! Congratulations on your graduation and as you begin the next phase in your life. I have a feeling that whatever you do, and where ever you go, you'll bring joy to those around you. I know, you did that for me. Even as I sat my computer editing I couldn't help but smile back at you. My favourites were of you swishing in your dress & then there's the images with you and your grandpa..you get a twinkle in your eye when your grandpa teases you a little, or another favourite is you and your grandma giving each other head bumps! Actually, there's not a single image of you that I don't love, so instead of me yammering on, have a scroll through and leave some blog love in the comments. Kathy, thank you for introducing me to your family! Megan, thank you for sharing me your joy...and though I've been told you have grumpy days (it's hard to imagine) but I guess were all entitled to a bad day now and again, I'll remember to enjoy life simply, with a good book and a little swishing!